In early January of 2016, I made the decision to move down country from where I had based myself in Auckland to Central Otago. I had heard from many people that it was amazing with an abundance of both fresh air and smiles. Upon arrival it was most difficult to find a place to live. I put this down to my lack of locals knowledge about the surrounding area. Generally speaking, people don’t use commercial avenues when advertising rooms, however almost instantaneously a friendly local guided me in the direction toward the ‘Upper Clutha Trading Post’ on facebook. With this sorted, I found a ‘2 in 1’. A job in Cromwell picking fruit with a roof for after the days work. Picking fruit in the summer months was most enjoyable work, making the beer and swim at the end of the day feel most deserved. It was also a way to meet other people who were unfamiliar to the area, who had the same desire to explore through hiking, kayaking and many other adventurous pathways that Central has to offer. At the closing of the fruit picking month, I moved forth into Wanaka, where with my qualification I was able to relief teach at the secondary school. Again with the help of the ever handy ‘Upper Clutha Trading Post’, I was able to find a room relatively easily. After being in the area just shy of two months, I must say that the key travellers item coming to Central Otago should bring, is time. Time because most people I have met and share acquaintance with, never want to leave or end up leaving with things unfinished or areas unexplored. 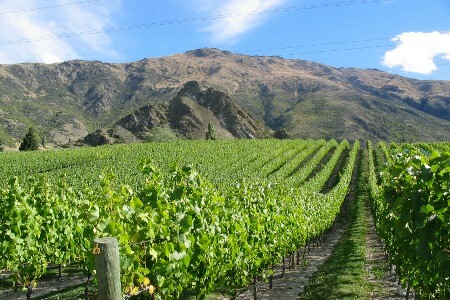 For any traveler I would recommend diving into the depths of Central Otago, and immersing themselves in the friendly, lively and stunning culture that this unique place has to offer.